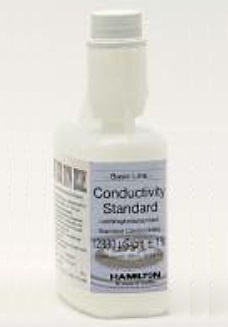 The Hamilton Incyte viable cell density measurement is based on capacitance. Viable cells behave like little capacitors and their polarization and depolarization in an alternating electrical field is measured. The signal can be correlated to the bio-volume. Only viable cells can be polarized in the alternating electrical field so this method is insensitive to cell debris as well as to microcarriers. A measuring loop consists of an Incyte sensor that is available in different dimensions, an Incyte pre-amlifier and an Arc View controller. 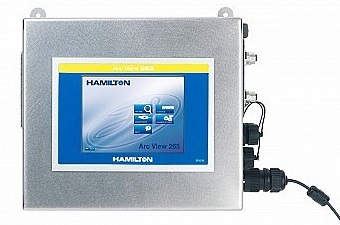 The Arc View can display both parameters at once using the 2 (Arc View 265) or 4 (Arc View 465, 465 XL) channel inputs. 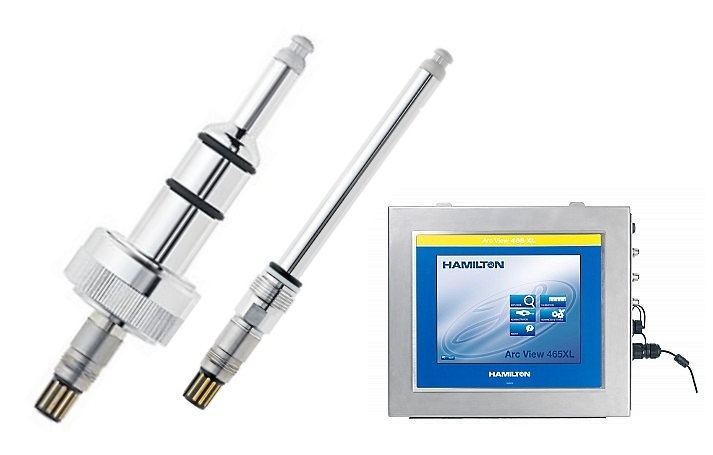 Additionally Arc pH and DO sensors with a wireless module can be displayed on the controller giving the ability to see all relevant parameters of a cell culture or fermentation on one screen. 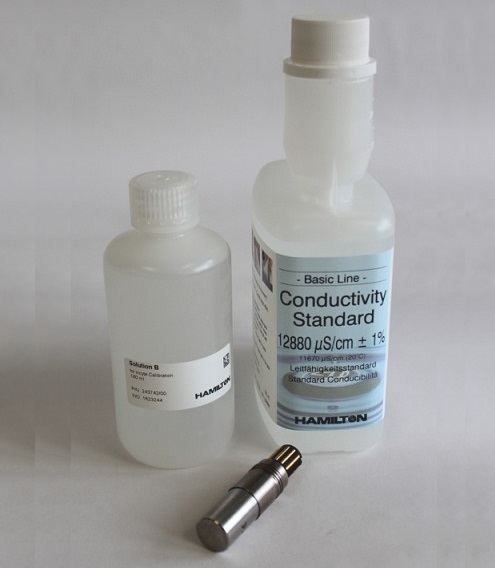 The Incyte sensor and pre-amplifier are sold as a calibrated Incyte Unit but are also available as spare parts. 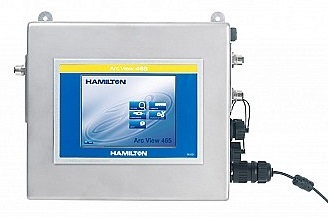 The Hamilton Dencytee total cell density measurement is based on the optical density of a suspension at NIR wavelengths. All particles and molecules that scatter the NIR light will be detected and can be correlated to the total cell density. 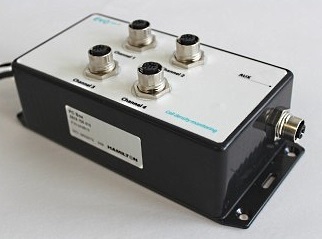 The Dencytee sensor keeps the light intensity at the detector constant leading to a wide linearity range. 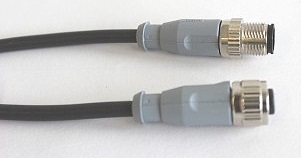 A measuring loop consists of a Dencytee sensor with an optical path length of 5 mm, a Dencytee pre-amplifier and the Arc View controller. 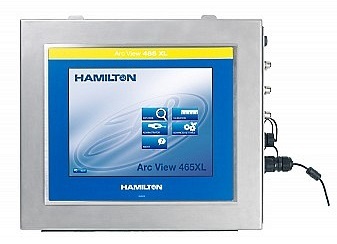 The controller can display both parameters at once using the 2 (Arc View 265) or 4 (Arc View 465, 465 XL) channel inputs. 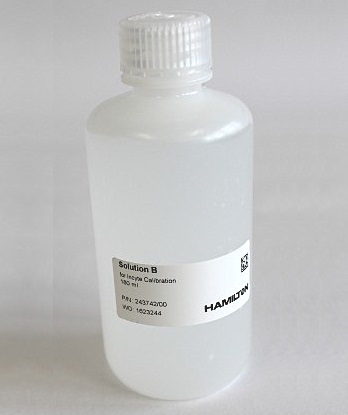 Additionally Arc pH and DO sensors with a wireless module can be displayed on the controller giving the ability to see all relevant parameters of a cell culture or fermentation on one screen. 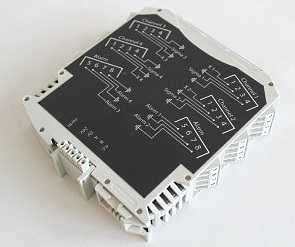 The Denytee sensor and pre-amplifier are sold as a Dencytee Unit but are also available as spare parts.